Ben Reeve Lewis takes a look at Section 3 of the Landlord and Tenant Act 1985. I dealt with a case this week where section 3 came up as an issue. It’s quite unusual for it to arise in housing advice land but it shouldn’t be, as the situation that triggers the legislation is a reasonably common one. Section 3 of the LTA is the duty incumbent on a new landlord to tell the tenant that they are in fact the new landlord, having taken over from the old one, more often than not through purchase of the property. Hardly surprising in an industry where there is a notice for just about everything. The requirements of section 3 are that a landlord has 2 months to inform the tenant that they are the new landlord and must provide their name and address. Note that unlike Section 48 of the Landlord and Tenant Act 1987 this must be the landlord’s actual address, not just an address for service of documents. The requirement to do this still applies if the outgoing landlord has already provided the information to his ex-tenant. In housing advice land you don’t see these, not because of rogue activity but simply because the landlords just don’t know about the requirement and I have also never seen any correspondence from a conveyancing solicitor in such matters. So far, so bureaucratic but there are a couple of very important caveats to be aware of with this. The first to be aware of is Section 3 (3A), which tells us that if the new landlord has not served the relevant notice on the tenant then the old landlord remains liable for any breaches of the tenancy agreement, such as disrepair, until the notice is given. So if there are disrepair issues but you have sold the house, you might still be in the frame if the person you sold it to hasn’t complied with Section 3. A summary offence means getting prosecuted in the Magistrates court. A scale 4 fine is currently £2,500. So what seems like a tedious, arcane and fairly inconsequential issue can have serious consequences for both the vendor and the purchaser of properties containing sitting tenants. Despite being an offence dealt with in the magistrates court the prosecution is actually done by local authorities in such cases, as with harassment and illegal eviction. I could imagine the look on a stressed out desk Sergeant in an average police station facing an outraged tenant demanding justice because their new landlord hasn’t served them with a section 3 notice. But this does raise some common sense questions, not least of which is, what is the point? My understanding of it and I am happy to be corrected, is that even if the tenant actually knows who their new landlord is and has been paying rent to them, if the s3 notice hasn’t been served the breach is still there. The council can both serve work’s notices on the old landlord and prosecute the new one for not serving the notice. I am aware that there can be some muddying of waters where certain residents should have been offered the chance to purchase before it was sold to someone else but does that provision need to apply to your average landlord and tenant arrangement? From a rogue landlord enforcement perspective it does have its uses when trying to track down landlords who don’t want to be found and where disrepair issues are front and centre and I do teach people about its uses in that forum but that is a specific approach to it and even I can see it from the other perspective. Regardless of the above I thought it a useful thing to share across the board. Outgoing landlords should ensure that the purchaser serves the notice and doesn’t leave them liable for breaches after sale. New landlords need to know about the criminal sanctions if they don’t comply and housing advice and enforcement officers need to know about the provisions as another tool in their kitbag. Note – Landlord Law members will find a letter they can use for this purpose in the Landlord’s Letters section of the website. A really useful article. Thanks! Presumable the term “sitting tenant” applies to a tenant with a statutory right to remain in the property and not if a house changes ownership with a tenant under an AST remaining in place. 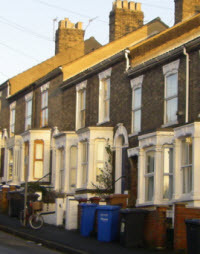 If a house changes ownership with a tenant still in occupation they will have a right to remain – tenancies are not ended by a change in the ownership of the property. So they will effectively be a sitting tenant. ‘Sitting tenant’ is not defined in law (to my knowledge) but implies that someone is in occupation who has the right to remain there. Which an AST tenant will have if the property changes hands. Many thanks for this. I wondered if this situation only applied to old “Housing Act” tenants who wouldn’t be on AST’s but you’ve said it can apply to any tenant with a right to occupy the property even if they’re not “sitting tenants” in the old sense. So if a vendor sold a property with an AST tenant in place, the new owner (landlord) would need to inform the tenant of their existence or would fall foul of this. Another thing to be aware of ! A vendor can in fact protect himself by giving his own notice. See section 3(3B)(b). If a property is sold with a tenant, (and the tenant is currently on a periodic tenancy), will a new agreement have to be made? And what if the buyer wants a tenancy agreement but the tenant refuses to sign? The new landlord will ‘stand in the shoes’ of the original landlord and will have the same rights and obligations that he had. So in a way, the tenant’s position will not have changed. He (or she) will just have a new landlord. But his legal rights will remain the same. There is no legal reason why a new tenancy agreement has GOT to be signed, and the tenancy will continue without this. You are quite right – a tenant can refuse to sign a new tenancy agreement and the new landlord cannot force him to sign one. Could the Tenant bring a private prosecution? I don’t quite understand civil vs. criminal law – if not having the current landlord’s address has caused me no damage etc., then would a prosecution be vexacious, even if there is no doubt the law has been broken? Realistically I think it is unlikely that Council’s would bring a prosecution, unless it was coupled with other things such as breach of the health and safety regulations, poor condition of the property etc. However I did use the potential threat regularly as a means of securing other things. In addition if my memory serves correct the absence of the service of the relevant notice would mean that no rent was payable under provision of LTA 1987 if the landlord has not provided the service of notice address, as opposed to the actual or other address under LTA 85. S1 & 38. The combination of various potential offences does concentrate some people’s minds. The tenant may, and should, have already been given an address for the purpose of serving notices. There is no legal obligation for the new landlord to give a new one. Of course he does not he may never receive the tenant’s notices but that’s another issue. Romain how can you say there is no legal obligation on a landlord to give a new one when Section 3 specifically states there is? Ben, I was referring to the obligation to give an address for the the service of notices, i.e. s.48, as Colin mentioned that no rent is due if no address for notices is provided. If the new landlord does not give a new address for that purpose then the one given by the previous landlord remains valid and thus the rent is due in any case.